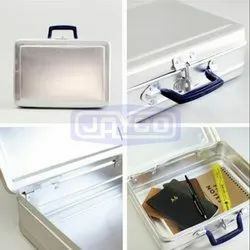 Being one of the reputed organizations in the market, we are engaged in manufacturing, exporting and supplying an exclusive range of Industrial Cases. We are presenting a quality range of Depth Horizontal Case- Black. The Depth Horizontal Case- Black we offer is widely demanded amongst the clients for its wide use. These products are available in committed time frame. Mascot Techno- Engineers Pvt. Ltd. Carry Cases manufactured in confirmation with the prescribed norms are made by us in the market. We visit the vendor’s site on regular basis, so that we can keep close eye on the quality of the products delivered to us. We offer our range in customized packaging based upon the details given by the clients. We are dealing in Pelican Cases. The Genee vision carry case is the wonderful storage cases for visualisers . Discover smooth and scratch free transportation for your classroom products like visualisers, digital processing visualiser, presentation equipments etc. 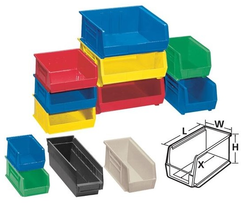 These storage cases are specially designed for smooth carrying of several visualisers. - Hard Molded Case Prevents Dents and Bents. Protects Bras from Crimping, Crushing and Creasing. - Durable, Portable, Sophisticated and Stylish Design. Great for Traveling or At Home Storage. - Light weight, Water Resistant, Shock Resistant. - Keep all tools and electronic equipments safe and secure. The new Classic+ Toploading Case is designed to protect up to 14.1 laptops. The dedicated padded compartment with security strap safeguards the surface and gives additional overall protection to your laptop. The reinforced handles are wrapped in a soft neoprene with smart faux leather trim to provide comfort and strength.